Ferrari 340 MM Italian production car of the early ’50s of the twentieth century. The first car from the stable of Ferrari V12 engine wielkoblokowym Lampredi. Previous Colombo V12 was used in smaller models min. Ferrari 195 and 212 Use a large engine forced engineers to build a larger floor plate. Larger Ferrari had to have adequate power, which would provide auto rate expected by customers. Displacing 4.1 L reached power of 220hp, which allowed to reach speeds of 135 to 150mph in racing versions. Cars homologated to develop traffic speed is not less than (135mph) 217 â€‹â€‹km/h, which unofficially made the car the fastest car in the world status in 1950-1952. 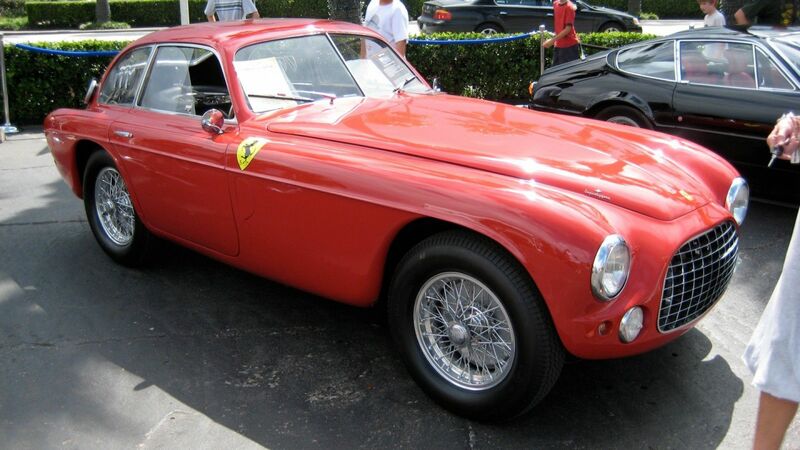 The record was taken in 1953 by the Ferrari 375 America. Most of the 25 cars that made racing versions. The market price for a model in the state of preservation (perfect condition, 100% original parts) range from 450 to more than € 000 million for the most famous racing versions (as in 2006).